Key Difference: Tagalog is an old language that has been used as the basis of the new and improved Filipino. The newer language includes words borrowed from other languages and includes added alphabets. Tagalog and Filipino are actually languages that are spoken in the Philippines. These two are the most popular languages spoken in the country, which has more than 180 different languages depending on the different regions. Some of these languages are old languages, while many are new and have developed on top of the old languages. The same thing has actually happened with Tagalog and Filipino. Tagalog is an old language that was spoken in the region and has been the lingua franca since the 1930s, when the Commonwealth Constitution was originally drafted. It was spoken in major cities like Manila and its neighboring provinces. However, when the new constitution was drafted in the 1970s, Philippines decided it wanted a new language and created the Pilipino, later changed to Filipino in the mid-1980s. This new language was built on top of the old Tagalog and included new words from other languages such as Spanish, Sanskrit, English, Arabic, etc. 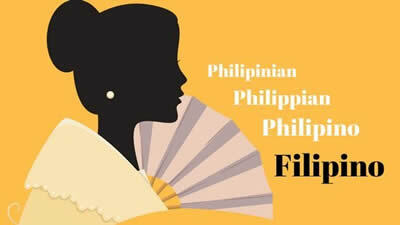 It also included new non-native letters and foreign speech sounds such as c, ch, f, j, x and z.
Filipino was labeled as the national language of Philippines and became the primary language which was used in business and education. However, it is still majorly used only in the urban cities, while smaller rural areas still use their own dialects and local languages for conversation. It is still an evolving language and is still borrowing words and semantics from other languages. A few examples of this includes Spanish (cómo está > kumustá = hello) and English (kompyuter = computer), as well as from other non-native languages like Chinese (keh-ya > kuya = big brother), Arabic (selamat > salamat = thank you), Malay (sedap > saráp = delicious), and Sanskrit (cerita > salitâ = speak). 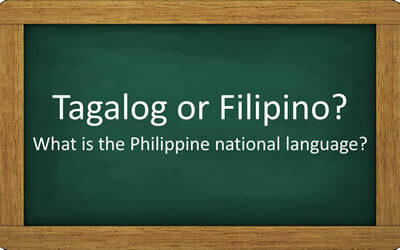 In short, the main difference between the two popular languages is that Tagalog is an old language that has been used as the basis of the new and improved Filipino. The newer language includes words borrowed from other languages and includes added alphabets. However, people who often speak Tagalog can understand Filipino and vice versa. Metro Manila and other urban regions.